There is nothing that can get you in the Christmas spirit more than a cup of hot cocoa and a good Christmas movie. 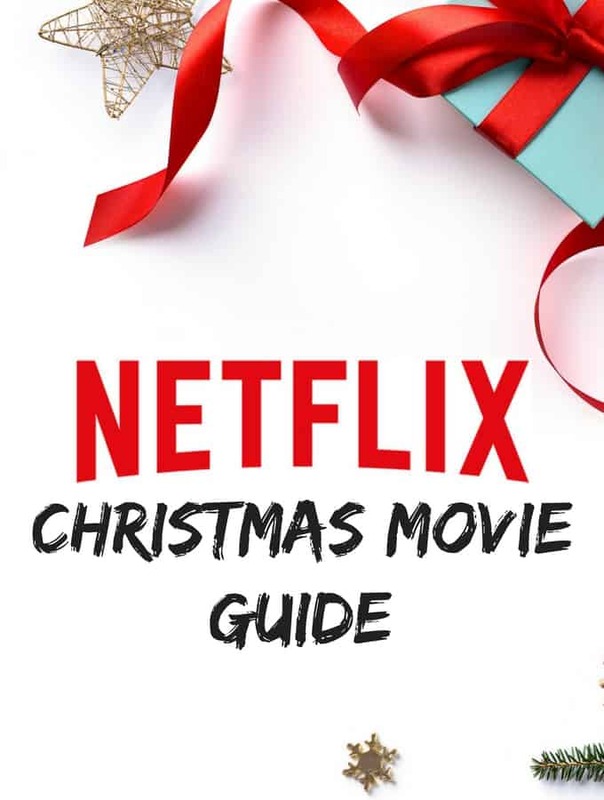 Thankfully, we have Netflix to provide us with Christmas movies whenever we want! Here is your guide to all things Christmas on Netflix in 2017 sorted by their genre. To inherit her father’s company, socialite Ellen must first visit his small hometown, where she learns the value of hard work and helping others. Christmas comes early for an aspiring young journalist when she’s sent abroad to get the scoop on a dashing prince who’s posed to be king. A year after helping Richard secure the crown, Amber is getting ready to walk down the aisle with him. But she’s not so sure she’s cut out to be queen. Sarah and Pete have drifted away from each other and their grown daughters, but a holiday visit may inspire old feelings and second chances. In the smokie mountains, an ambitious woman works to save her family’s historic berry farm as her ex, a country music star, returns to town. Kayla’s engagement to a famous choreographer but is having some doubts, and discontent turns into confusion when she shares a magical kiss with a stranger. Finding a letter mailed to Santa by a girl asking for a new wife for her daddy, twentysomething Crystal sets out to make the girl’s wishes come true. As Christmas approaches, attorney Kate Jordan travels to Vermont to oversee the sale of an inn, where she falls for a handsome but cursed ghost. Twentysomething Georgia pines for her old boyfriend and is thrilled to have a second chance at love when she attends their high school reunion. Spoiled 21-year-old Luce Lockhart faces a tough decision when a handsome new friend asks her to help protect a dog park from her wealthy employer. Two war buddies fall for two sisters and follow the girls to a resort owned by their former commanding officer, who is in danger of losing the place. When a Good Samaritan dies in a pre- Christmas accident, a celestial hitch sends her back to Earth as an angel in training to make something right. Hilary’s plan to hire a good looking guy to act as her boyfriend backfires when she brings him home for the holidays to try and fool her family. After Stepping in to revitalize his family’s hotel, a money minded businessman clashes with the hotel’s cheery, Christmas loving decorator. With their divorce set to become final Christmas day \, a couple must decide if they are really ready to throw in the towel on their relationship. After her husband leaves her, a stylish New Yorker goes on an African safari alone and finds new purpose in her life. Still reeling from a business failure, the restaurant manager of a ski resort finds her world jolted by a new chef, who has his own hidden past. This ensemble comedy is a charming treatise on romance, telling 10 intertwining London romance stories, leading up to a climax on Christmas Eve. A young couple breaks up and faces the prospect of the holidays turning into one long pity party. Their solution: pretend they are still together. The Grinch decides to rob Whoville of Christmas – but a dash of kindness from little Cindy Lou Who and her family may be enough to melt his heart. When a young reindeer gets seperated from his family after a Christmas Eve party, the Cat in the Hat and his friends help them reunite. A bickering couple takes their children on a Christmas vacation and gets a lesson in love and respect after giving shelter to a stranded family. Young Nicolas agrees to do Santa’s work for one year. But the stress of the job threatens the boy’s sense of joy — and Christmas itself. Sent to her grandmother’s ranch for Christmas, a rebellious teen bonds with her grandmother’s horse and resolves to save the ranch from foreclosure. Two small abominable snowmen flee their mountain to escape a scientist who’s trying to capture them and end up spending Christmas with a human family. Pop music superstar Mariah Carey hosts this all-star holiday celebration with special guests and a celebrity reading of “The Nightmare Before Christmas”. When a small town’s letters to Santa accidentally go up in smoke, two elves venture out of the North Pole to retrieve every missing wish. Four brothers prepare for war when they are forced to deliver secret holiday gifts to the school bullies. But they soon learn kindness goes a long way. A trip to church with her family on Christmas Eve gives young Angela an extraordinary idea. After accidentally crashing Santa’s sleigh, a brother and sister pull an all-nighter to save Christmas with a savvy, straight talking St. Nick. Loveable, oversized Saint Bernard Beethoven tries to save the holidays when a wayward elf crashes Santa’s sleigh and loses his bag of toys to thieves. When a gift sack full of kittens gives Santa a bad allergic reaction, the kitties have to take over and deliver the presents on time. After his family run factory falters, jeopardizing his town’s beloved holiday pageant, businessman Matthew faces a crisis of character and faith. Born under the Christmas star, Noelle says she can perform miracles. When trouble comes to town, it is up to Noelle to prove herself and save the day. When Santa gets arrested for trespassing after crashing his sleigh, it’s up to a father and son team to spring him from jail and save Christmas. George and the man in the yellow hat are having a merry time counting down to Christmas, but neither can decide what present to give each other. In this prequel to Disney’s holiday hit, Santa Buddies, it is up to puppy Paws to save the spirit of Christmas when Santa’s memory fades. When the Santa pups grant joyful wishes to Pineville’s boys and girls, something goes terribly wrong: the Christmas spirit begins to disappear. The world’s favorite mouse rings in the holidays with three charming stories: “The Gift of the Magi”, “Duck Tales”, and “A Very Goofy Christmas”. Mickey, Minnie, Goofy, and friends celebrate the spirit of the season while Scrooge McDuck humbugs the whole affair in this animated holiday feature. After being snowed in, Mickey and a host of his friends throw a Christmas party to help Donald Duck regain his holiday spirit. In this family-friendly North Pole adventure, the rambunctious golden retriever pups known as the buddies must save Christmas. Brittany is the founder and creator of Sunshine Momma, a family lifestyle blog that shares tips to help improve the daily life of today's parents. She lives in small town North Texas and you can probably find her at home trying to keep up with her toddler, drinking a cup of coffee, and snuggling with her chocolate lab. Previous Post: « If your child has behavior problems, it may be due to a lack of sleep. What happened to The Christmas Shoes? It was the best movie ever…. This is so awesome, thank you, and Merry Xmas!! There’s one called the Holiday Calendar. Very very cute movie! We were looking for Christmas movies on Netflix! This is perfect timing, keep up the good work! Thank you! Christmas Crush is my favorite movie. Visit Brittany @ Sunshine Momma's profile on Pinterest.